Reproduced with Permission by and Courtesy of Leimberg Information Services, Inc. (LISI). For information about how to subscribe to LISI, click here. “For more than 14 years, we have been advising clients about converting to a Roth IRA. For the first ten years, most of our collective efforts focused on the long-term strategic benefits of converting to a Roth IRA with us preparing complex spreadsheet analyses on the front-end to determine an ‘ideal amount’ to convert. Like other tax professionals, with the extreme volatility of the stock market in recent years, our Roth IRA conversion paradigm has shifted. Instead of spending hours on the front-end analyzing Roth IRA conversions to find a so-called ‘ideal amount’ to convert, we only spend an hour or so to determine if a Roth IRA conversion is feasible in the first place. After determining feasibility, we then advise our clients to convert to a Roth IRA as early in the year as possible and take a ‘wait-and-see’ approach over the next year. Now, Robert S. Keebler, CPA, MST, AEP provides members with important commentary on Roth IRA conversions in 2012. The 2012 tax year is the perfect time to take advantage of converting to a Roth IRA before income tax rates go up in 2013. In many cases, a “heads I win, tails I tie” situation can easily be achieved by taxpayers, especially for those who have sufficient wherewithal outside of their IRAs to pay the income tax liability on a Roth IRA conversion. In most cases, all post-conversion income and growth can be sheltered from future income tax while any post-conversion losses can be made less painful by recharacterizing the prior conversion. Moreover, with the proper timing, a taxpayer can hedge against the pending 2013 income tax rate increases and effectively use certain tax attributes (such as NOLs). For more than 14 years, we have been advising clients about converting to a Roth IRA. For the first ten years, most of our collective efforts focused on the long-term strategic benefits of converting to a Roth IRA with us preparing complex spreadsheet analyses on the front-end to determine an “ideal amount” to convert. While these analyses were generally prudent, there were several times where our analyses were all for naught, especially when the value of the Roth IRA went down from the time of conversion. Instead of spending hours on the front-end analyzing Roth IRA conversions to find a so-called “ideal amount” to convert, we only spend an hour or so to determine if a Roth IRA conversion is feasible in the first place. After determining feasibility, we then advise our clients to convert to a Roth IRA as early in the year as possible and take a “wait-and-see” approach over the next year. Only after the client’s tax situation becomes clearer in the following tax year and we have the benefit of hindsight (to analyze post-conversion returns within the Roth IRA) will we take the next step and carefully analyze where a potential “sweet spot” exists. Under the tax law, a taxpayer is allowed to “recharacterize” (i.e. undo) a Roth IRA conversion anytime from the day after the conversion all the way up to the filing date of the taxpayer’s individual income tax return, including extensions (i.e. October 15th of the year following the year of the conversion). This allows the taxpayer the benefit of hindsight to determine if the Roth IRA conversion was prudent. Consequently, if designed and executed properly, the taxpayer can create a “heads I win, tails I tie” scenario. As mentioned above, the primary benefit of recharacterizations is that the taxpayer has the benefit to assess the post-conversion returns and determine if the conversion was worthwhile in the first place. For example, let’s assume a taxpayer converts $100,000 to a Roth IRA in January 2012. Now let’s assume that the value of the Roth IRA is $80,000 on March 1, 2013. In this case, the taxpayer would simply “recharacterize” (i.e. undo) the conversion by moving the entire $80,000 Roth IRA back to a traditional IRA on or before the time he files his 2012 individual income tax return (i.e. April 15, 2013 or October 15, 2013 if an extension is filed). The effect of the recharacterization is that the taxpayer will not be taxed on any of the $100,000 original conversion because he recharacterized the entire amount back to a traditional IRA. While recharacterizations provide a significant benefit for taxpayers, the IRS realized that taxpayers could abuse this privilege, so the IRS enacted the “anti-cherry-picking rules” under Notice 2000-39 (which were later codified under Treas. Reg. §1.408A-5). Under the “anti-cherry-picking rules” one cannot recharacterize an asset which has gone down in value within the Roth IRA (i.e. “loser asset”) while keeping an asset which has gone up in value (i.e. “gainer asset”) within the same Roth IRA. The purpose of this rule is to pro-rate gains and losses across all assets within the same Roth IRA in determining the amount of gain (or loss) to apportion to the recharacterized conversion amount. Connie converts $100 of Stock A and $100 of Stock B to a Roth IRA on January 3, 2012. On September 30, 2013, the value of Stock A is $120 and the value of Stock B is $90. Because Stock B has gone down in value since the time of conversion, Connie would recharacterize Stock B back to a traditional IRA before she files her extended 2012 individual income tax return. Stock A, on the other hand, would be kept in the Roth IRA. Absent of the “anti-cherry-picking rules”, if Connie were to recharacterize Stock A back to a traditional IRA, she would be allowed to reduce the taxable portion of her conversion (i.e. $200) by the value of Stock A at the time of conversion (i.e. $100). Thus, Connie would only have to pay income tax on a $100 conversion amount (i.e. $200 total conversion – $100 recharacterized amount). However, because of the “anti-cherry-picking rules”, Connie cannot simply recharacterize Stock A back to a traditional IRA and get a $100 reduction (i.e. the original conversion value of Stock A) in her taxable income. Instead, Connie can only reduce her taxable income by the recharacterized amount (i.e. $90). As a result, Connie will pay income tax on $10 of income (i.e. $100 original conversion value – $90 recharacterized amount) on something that no longer exists. Further, to add insult to injury, Connie must allocate a portion of the net income from the Roth IRA (i.e. $210 current value – $200 conversion value = $10 net income) to the recharacterized amount. 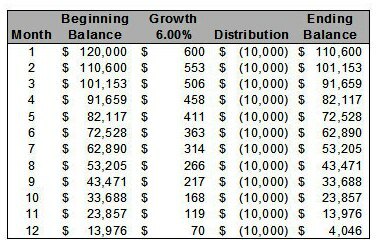 In this case, Connie will have to add $4.50 ([$10 net income/$200 conversion amount] x $90 recharacterized amount) to the recharacterized amount going back to the traditional IRA. As a solution to the “anti-cherry-picking rules”, instead of converting all assets to a single Roth IRA, the taxpayer would group like-assets together (e.g. small cap stock, large cap stock, international equities) and then convert those groups of like-assets to separate Roth IRAs. This is commonly known as the “Roth IRA Segregation Conversion” strategy. The benefit of the “Roth IRA Segregation Conversion” strategy is that, unlike the example above, a taxpayer does not have to pro-rate gains and losses against each other (for purposes of recharacterization) because each asset (or grouping of like-assets) is in a separate Roth IRA. Therefore, when the taxpayer chooses to recharacterize a “loser asset”, he simply recharacterizes the entire Roth IRA with the “loser asset” back to a traditional IRA and receives a full reduction in his taxable income for the original conversion amount of that “loser asset”. (NOTE: Under Treas. Reg. Assume the same facts as the example above, except that Connie converts Stock A to Roth IRA #1 and Stock B to Roth IRA #2. When Connie recharacterizes Stock B, she will be recharacterizing the entire amount in Roth IRA #2. As a result, Connie will be able to reduce her taxable income by $100 (i.e. the original conversion value of Stock B) and not have to pro-rate any of the gain from Stock A to the recharacterization because Stock A is held in a separate Roth IRA. Even though a taxpayer may choose to recharacterize a prior year Roth IRA conversion (because the value of the Roth IRA has gone down since the time of the original conversion), he/she may want to take advantage of current market conditions to convert back to a Roth IRA. This is known as a “reconversion”. In general, reconversions are permitted. However, a reconversion cannot take place until the later of: (1) the year following the year of the original conversion or (2) more than 30 days after the recharacterization. The purpose of this rule is to keep taxpayers from flipping in and out of Roth IRAs during the tax year. Gary converts $100,000 to a Roth IRA on January 3, 2012. On November 15, 2012, the Roth IRA declines to $75,000, so Gary recharacterizes the entire account back to a traditional IRA on November 16, 2012. In this case, Gary must wait until January 1, 2013 to reconvert back to a Roth IRA. Emma converts $200,000 to a Roth on July 3, 2012. On March 1, 2013, the Roth IRA declines to $180,000, so Emma recharacterizes the entire account back to a traditional IRA on March 4, 2013. Emma must wait until April 4, 2013 to reconvert. Despite the disadvantage created by the reconversion rule, there is an exception. If a taxpayer has a separate traditional IRA, he is free to convert that separate traditional IRA to a Roth IRA without having to wait the statutory holding period. Randy converts $100,000 to a Roth IRA on January 3, 2012. On April 1, 2013, the value of the Roth IRA is $80,000, so Randy recharacterizes the entire amount back to a traditional IRA (i.e. Traditional IRA #1) on April 2, 2013. While Randy must wait until May 3, 2013 to reconvert Traditional IRA #1, he is free to convert any other traditional IRAs he has to a Roth IRA at any time. However, in cases where the entire traditional IRA is converted to a Roth IRA before December 31st and the Roth IRA is recharacterized in a subsequent tax year, the recharacterization date becomes the day from which to measure the subsequent year’s RMD. On January 3, 2012, Herman, age 74 in 2012, converts $600,000 to a Roth IRA. On December 31, 2012, the value of the Roth IRA is worth $500,000. On March 1, 2013, when the Roth IRA is worth $400,000, Herman recharacterizes the entire Roth IRA back to a traditional IRA. Given these facts, the account balance for purposes of calculating Herman’s RMD for the 2013 tax year would be $400,000, making his RMD for the 2013 tax year $17,467.25 ($400,000/22.9 RMD factor). 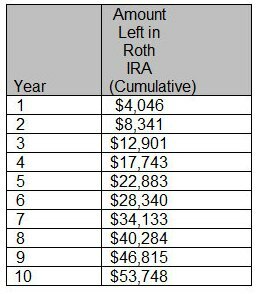 Had Herman not converted to a Roth IRA at all in 2012, he would have used a $500,000 IRA balance (as of December 31, 2012), making his RMD for the 2013 tax year $21,834.06 ($500,000/22.9 RMD factor). As illustrated in the example above, Herman was able reduce his RMD by $4,366.81 (a 20% difference) assuming he did not convert to a Roth IRA in 2012. On the other hand, it is important to point out that, from an RMD standpoint, while this strategy works for the taxpayer when the Roth IRA goes down in value (from the end of the year until the time of recharacterization), it also could work against the taxpayer if the Roth IRA were to go up in value (from the end of the year until the time of recharacterization). If a taxpayer knows that he/she is going to withdraw funds from his/her traditional IRA during the year, it may be prudent for him/her to convert (what would otherwise be distributed from the traditional IRA) to a Roth IRA early in the tax year and then take withdrawals from the Roth IRA during the course of the year. Mary, age 65, usually withdraws $10,000 per month ($120,000 annually) from her traditional IRA to cover her living expenses. Instead of taking monthly distributions from her traditional IRA in 2012, Mary converts $120,000 of her traditional IRA to a Roth IRA on January 3, 2012. During the course of the 2012 tax year, Mary withdraws $10,000 per month from her new Roth IRA. Any residual balance left in the Roth IRA at the end of 2012 will be kept in the Roth IRA for future distributions. Over the last few years taxpayers have suffered significant losses. Some of these losses, in particular trade/business losses, have created Net Operating Losses (NOLs) which have carried forward to the current tax year. These NOLs, in turn, can be used to offset the taxable income generated by a Roth IRA conversion. If planned for carefully and analyzed correctly, a taxpayer can, in essence, do a Roth IRA conversion for free. In 2011, Jack suffered a $500,000 NOL. Of the $500,000 NOL generated in 2011, $100,000 was carried back and utilized in 2009 and $100,000 was carried back and utilized in 2010. As a result, Jack has a $300,000 NOL carryover to the 2012 tax year. Assuming Jack had other income and deductions which offset each other in 2012, if Jack were to convert $300,000 to a Roth IRA in 2012, he could shelter the entire Roth IRA conversion with the $300,000 NOL carryover, thereby causing $0 of income tax on the conversion. In addition to NOLs, there are situations where taxpayers may have negative taxable income (i.e. itemized deductions and personal/dependency exemptions greater than gross income). In most cases, if these “excess deductions” are not used in the current tax year, they are irrevocable lost. Thus, it is important for taxpayers in this situation to seriously consider a Roth IRA conversion in that, like a NOL carryover situation, a Roth IRA conversion can be done with little to no income tax being incurred. Finally, there are situations where taxpayers may have tax credits which could absorb the income tax liability created by a Roth IRA conversion. One such example is the Alternative Minimum Tax (AMT) credit. In this case, if a taxpayer has an AMT credit carryover and regular taxable income is greater than AMT income in the current tax year (as a result of the Roth IRA conversion), some or all of the AMT credit carryover could be used to reduce the taxpayer’s current year income tax liability. By knowing a few simple tax opportunities and doing a little planning on the front-end, one can make a Roth IRA conversion very successful. With the almost certainty of income tax rates rising within the near future, now is the time to convert. Even if one really isn’t much in favor of Roth IRA conversions, don’t be afraid. One can simply undo (i.e. recharacterize) the transaction if it doesn’t work out as well as one expects. CITE AS: LISI Employee Benefits and Retirement Planning Newsletter #591 (January 19, 2012) at http://www.leimbergservices.com Copyright 2012 Leimberg Information Services, Inc. (LISI). Reproduction in Any Form or Forwarding to Any Person Prohibited – Without Express Permission is Prohibited. 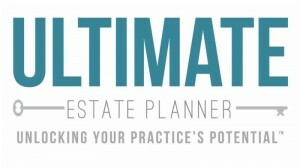 The Ultimate Estate Planner, Inc. has received permission from Leimberg Information Services, Inc. to repost this newsletter.